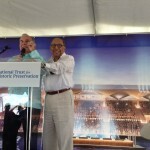 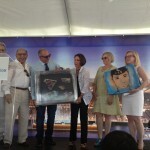 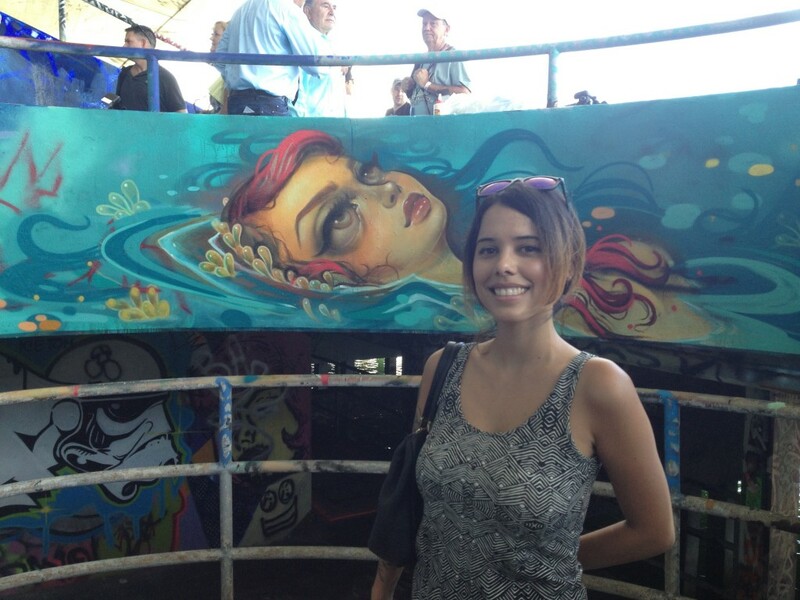 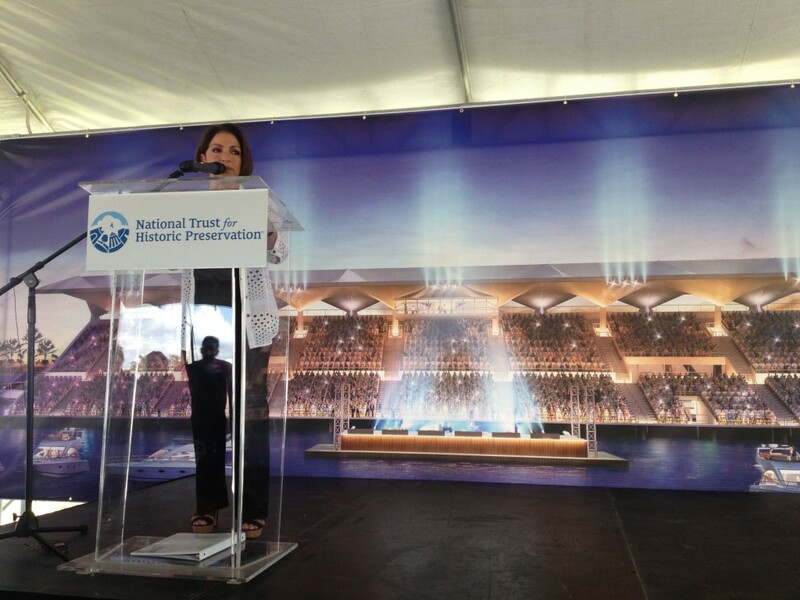 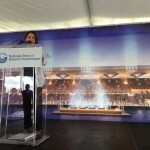 Gloria Estafan spoke Sunday at a press conference and convinced the audience and us of the importance of preserving the Miami Marine Stadium. 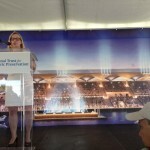 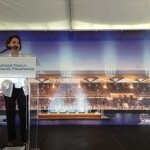 She, along with architect Hilario Candella, highlighted the stadium’s unique qualities and historic importance. 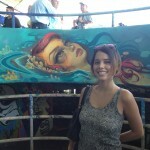 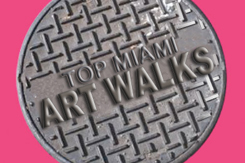 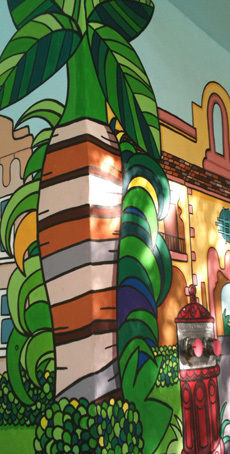 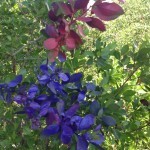 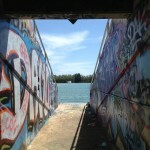 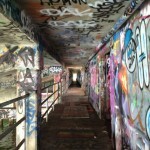 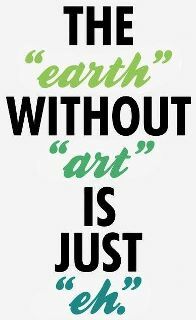 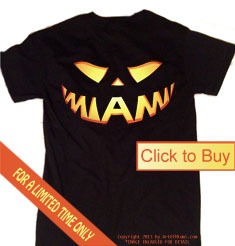 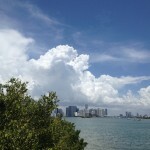 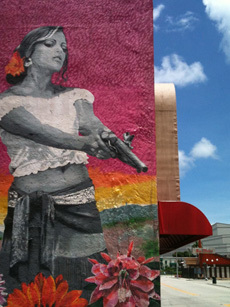 We at ArtofMiami.com have in past post, come down hard on the lack of cutting edge architecture in the city and poor attempts in becoming leaders in the Art World through public works. 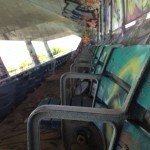 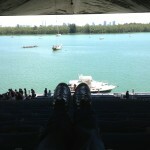 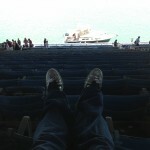 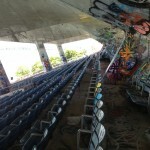 The Miami Marine stadium is the few examples of modern design that defy the status quo construction in Miami. 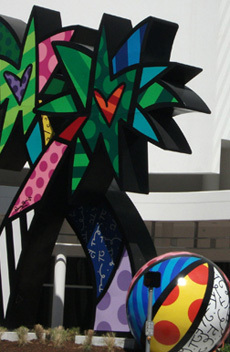 Its angled beams are reminiscent to the City of Arts an Sciences in Valencia. 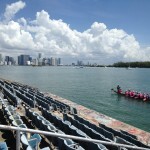 Gloria Estafan shared this view with the audience “I have traveled all over the world, the only thing that comes close is maybe the Sydney Opera House and event that is indoors.” Unlike other performance facilities, at the Miami Marine Stadium you are one with the scenic outdoors during an actual perfomance. 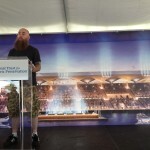 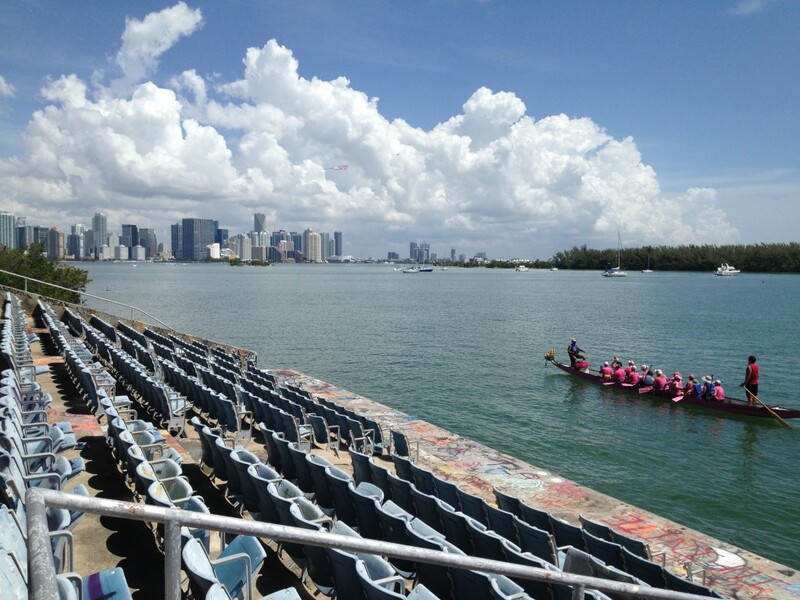 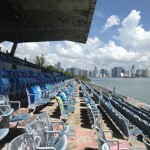 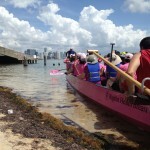 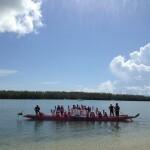 The 6,000 seat stadium has served its intended function as a boat racing spectators venue but since has also lend itself to memorable performances and concerts like that of “Miami’s Queen of Pop” Gloria Estafan. 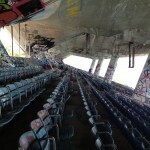 It is the largest trussless stadium of its kind. 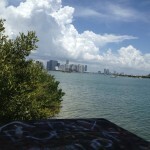 Also sits in one of the few remaining waterfront properties with views to the city and general public access. 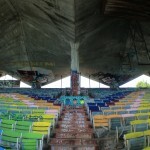 Yet its neglect my lead to further deterioration, disrepair and subsequent demolition. 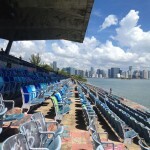 Finally, its prime location will be most likely opened to bids for greedy private developers to once again take bayfront real estate for local population to enjoy. 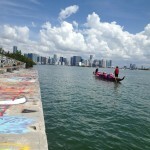 The preservation of the landmark and scenic location can be accomplished through public action. 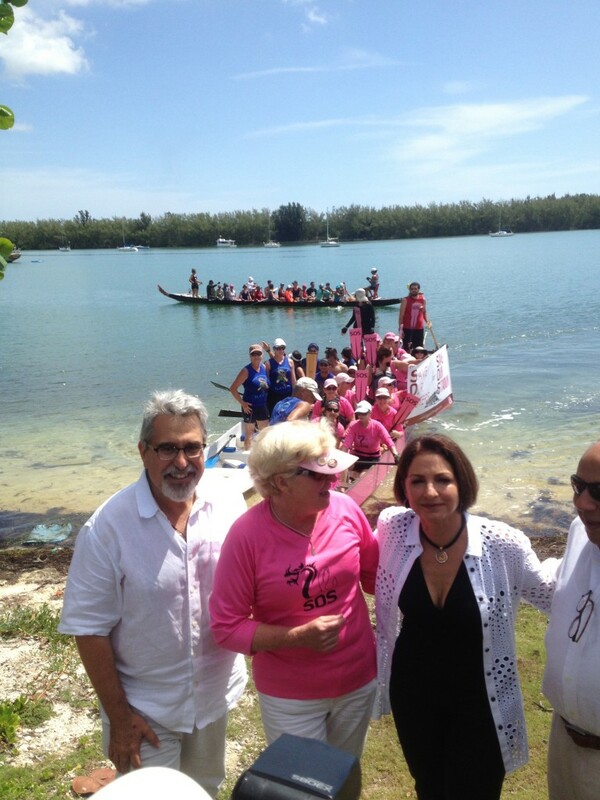 And Gloria Estafan has come forward to lead the efforts through multiple public addresses and now commitment of $500,000. 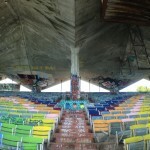 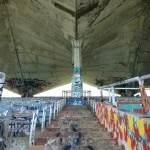 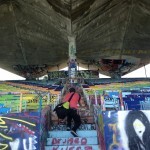 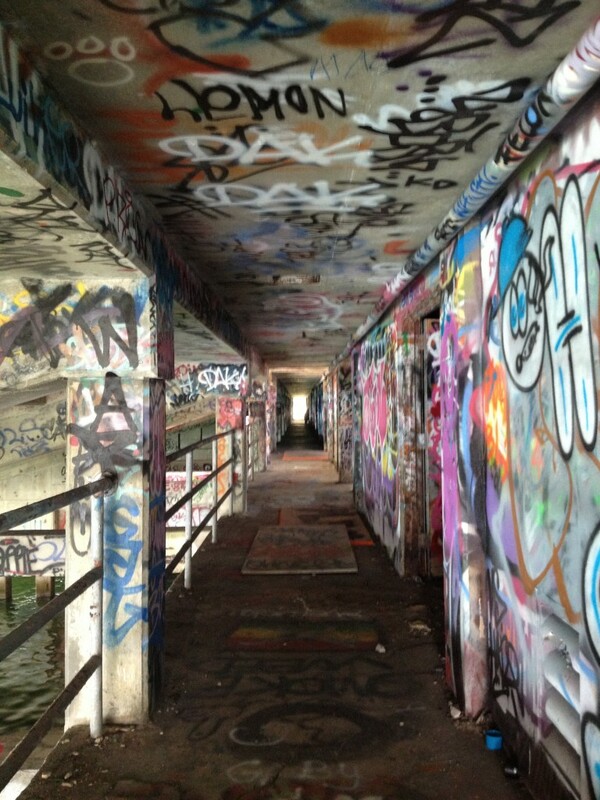 In total, the organizers like Friends of the Miami Marine Stadium, National Trust for Historic Preservation,and Saving Places need an estimated $40 million to completely restore the facility.